This past Sunday, I had the pleasure of attending the 10th Annual Celebrity Basketball Charity Game and Toy Drive, presented by Team Watson and TMT at the Calabasas High School Gymnasium. 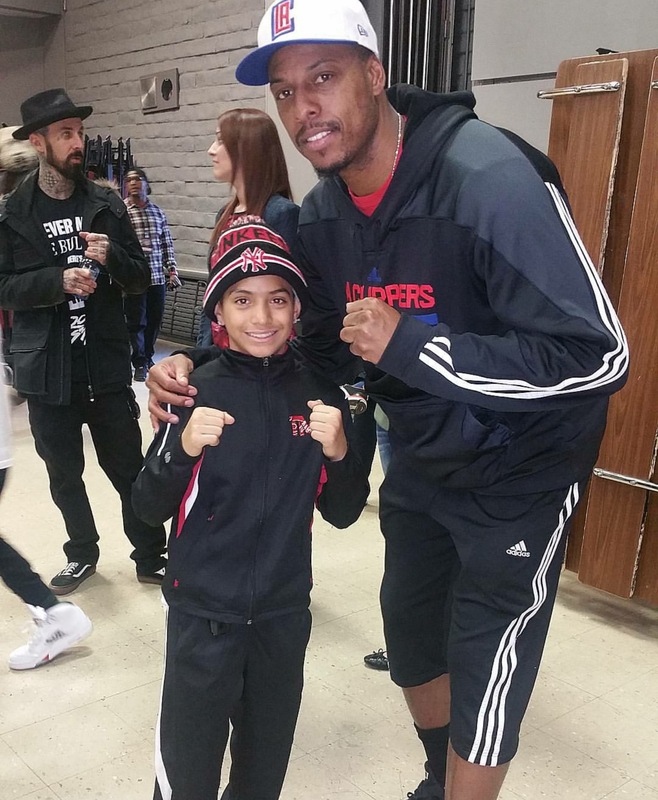 Hosted by boxing legend Floyd Mayweather, the event raised money for kids battling cancer and helped put smiles on the faces of dozens of disadvantaged children this holiday season. Team Mayweather vs. Team Watson line up. The event was impressive on many levels. I was blown away by the sheer number of people in attendance, as well as the large number of well-known celebrities that came out to show their support for the cause. Celebrities such as Travis Barker, former NBA point guard and hall of famer Mark Jackson, Los Angeles Clipper Paul Pierce, as well as many others, were all there to take a stand against cancer in the community. Many if not all of the featured guests made generous donations in support of this worthy cause to help many of those in need this holiday season. The enormous amount of genuine love and support for the cause I witnessed that evening was truly exhilarating. 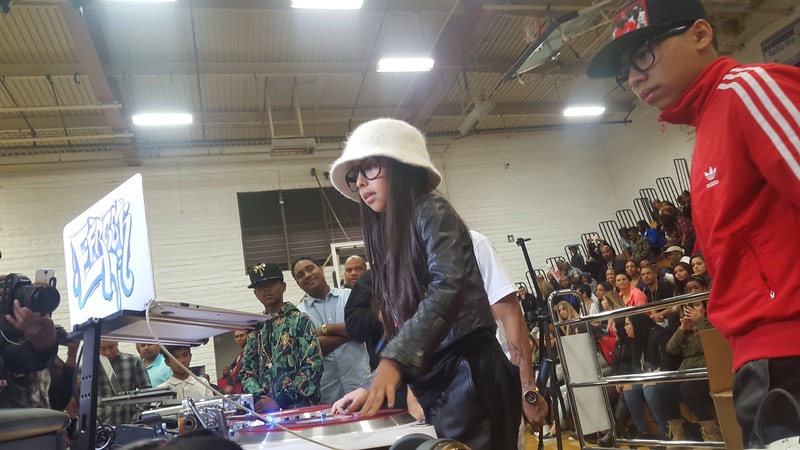 Youngest member of the Chi-town finest breakers, 8-year-old Dj livia. 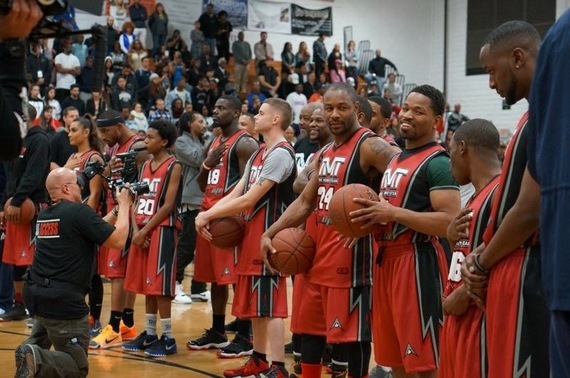 There were also musical performances by hip-hop artists Eric Bellinger and O.T. Genesis, which came as a pleasant surprise for everyone. Kids and adults alike got up from their seats and showed their moves on the dance floor as kids got to line up to shoot three-point shots for a chance to win $1,000 from Mr. Floyd Mayweather himself. This truly was an event put on for the kids. Esteemed boxing and Esnews reporter Elie Seckbach got a chance to get with Mr. Mayweather for a rare and exclusive interview about the event. 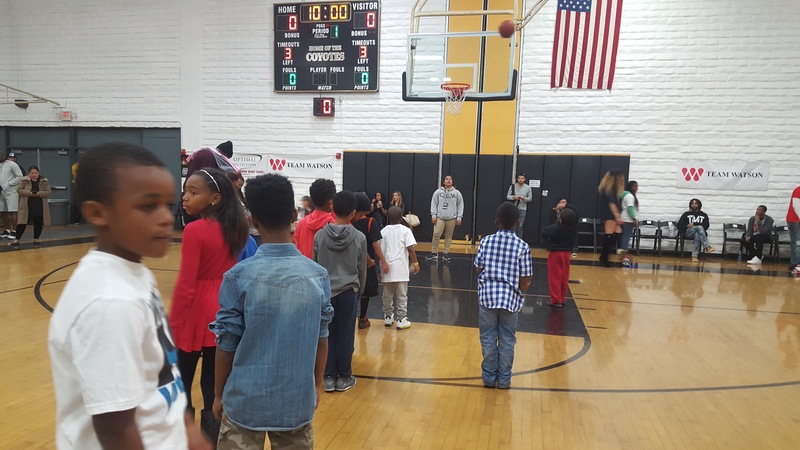 In addition to the many other guest appearances, I was also entertained by the event's basketball game itself. 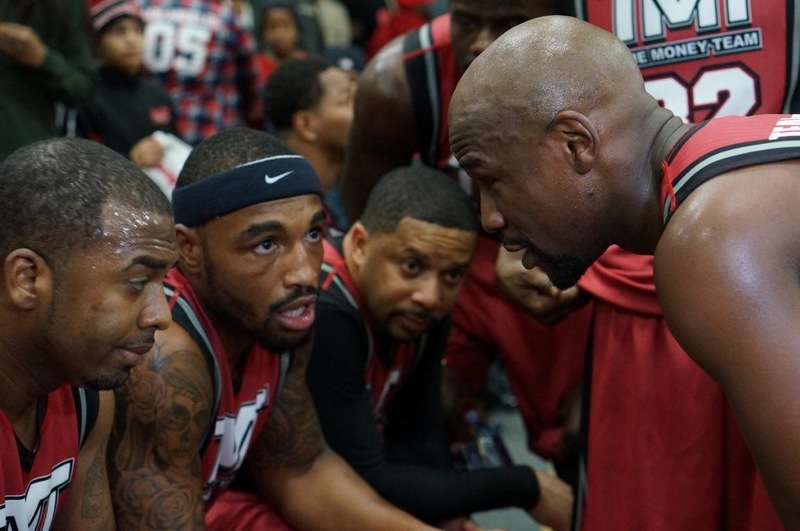 Many current and retired boxers, including Floyd Mayweather, Shawn Porter, Adrien Broner, and J'leon Love displayed that they also hone some skills outside of the boxing ring, as they battled head to head in a game that was competitive throughout. It was great to see that these fighters were being showcased outside of their element and all for a great cause. 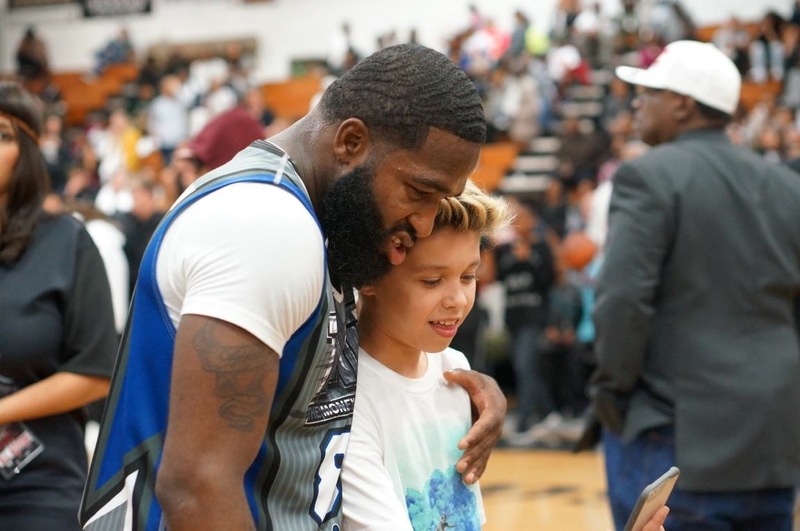 Adrien Broner takes time between quarters to take photos with fans. Boxing is sometimes considered a brutal sport, and to see these fighters coming together to support a cause that is bigger than themselves was more than inspirational for the young kids who look up to these athletes for leadership. Getting the opportunity to meet and discuss serious topics with these esteemed guests of honor, along with seeing the countless number of smiles being put on these kids faces was truly the highlight of my night. I was honored to have taken part in the Team Watson and TMT's annual event. Events such as these clearly make a huge difference in the lives of those impacted by poverty and sickness. Team Mayweather may have won the game and fought his way to becoming a champion, but on this day everyone was a winner, especially the kids.